Little Ones Preschool was built in August of 1996 by remodeling a portion of the owner’s residence. 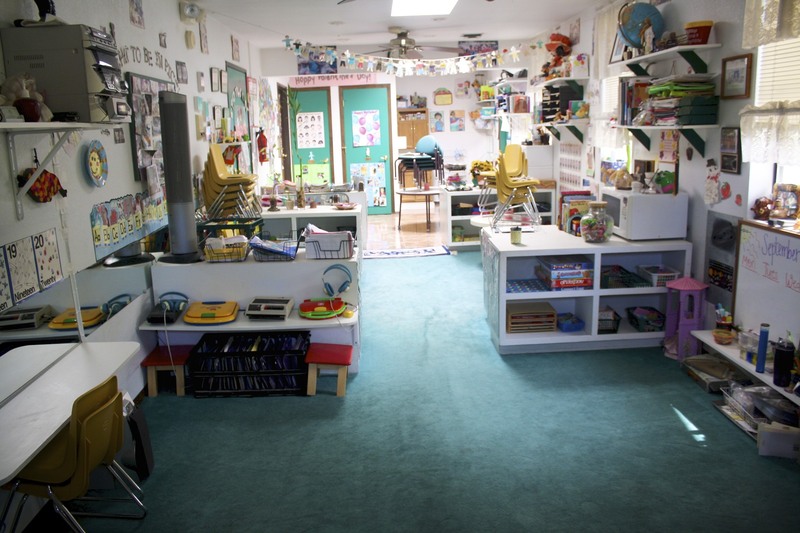 It features a warm, home-like atmosphere instead of a commercial appearance like most preschools. The school is separate from the main residence and complies with the City of Mesa building code for public schools and with the Americans with Disabilities Act. One-hour fire walls and doors protect the students from the owner’s main residence. An eight foot block wall surrounds the grassed play area. The play area offers over 1800 square feet and has age appropriate playground equipment, including a large sandpit with a full- size playhouse. Incandescent lighting and natural light via skylights are used because studies have shown they offer superior illumination for learning as opposed to the fluorescent lighting commonly found in the public school system. Emergency lighting switches on automatically in the event of a power outage. The school has separate boy’s and girl’s bathrooms, as well as a handicapped bathroom.